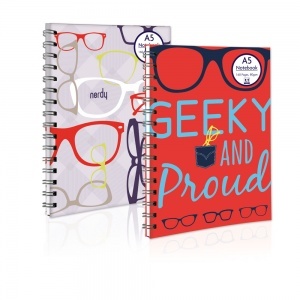 From the super-cool Geek range is this A5 Wirebound notepad, 160 pages of 80gsm ruled paper. 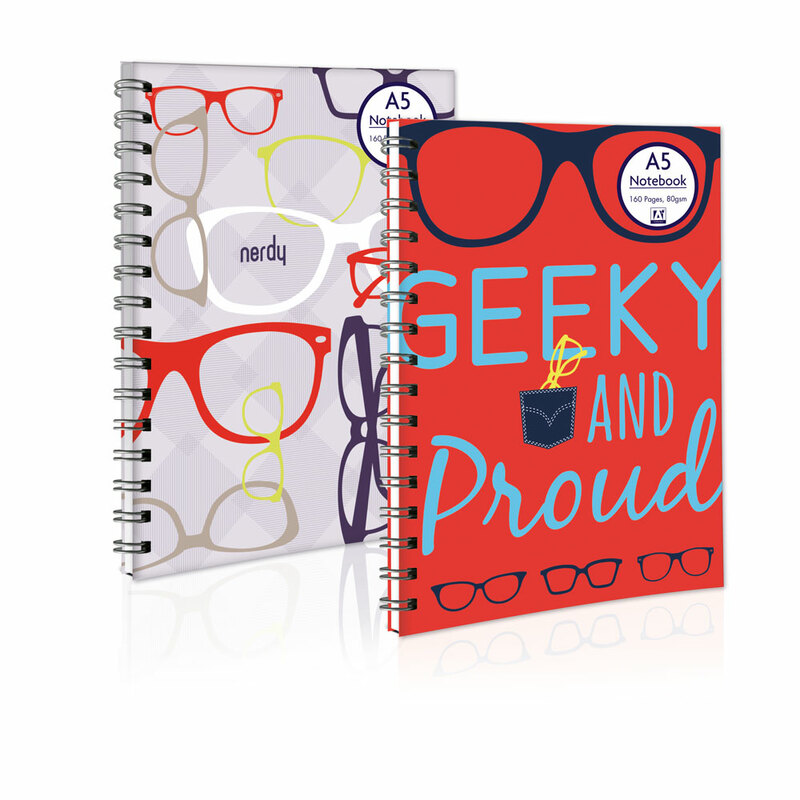 The front poly cover is decorated in glasses and the word 'nerdy'. Why not get your geek on and add some pens?